The 19th Amendment to the U.S. Constitution granted American women the right to vote, a right known as women’s suffrage, and was ratified on August 18, 1920, ending almost a century of protest. In 1848 the movement for women’s rights launched on a national level with the Seneca Falls Convention organized by Elizabeth Cady Stanton and Lucretia Mott. 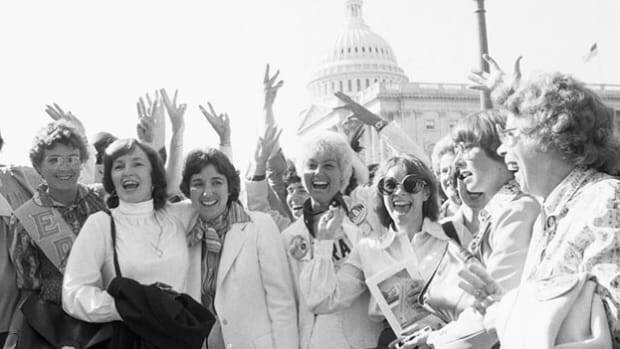 Following the convention, the demand for the vote became a centerpiece of the women’s rights movement. Stanton and Mott, along with Susan B. Anthony and other activists, raised public awareness and lobbied the government to grant voting rights to women. After a lengthy battle, these groups finally emerged victorious with the passage of the 19th Amendment. During America’s early history, women were denied some of the basic rights enjoyed by male citizens. For example, married women couldn’t own property and had no legal claim to any money they might earn, and no female had the right to vote. Women were expected to focus on housework and motherhood, not politics. The campaign for women’s suffrage was a small but growing movement in the decades before the Civil War. Starting in the 1820s, various reform groups proliferated across the U.S.—temperance leagues, the abolitionist movement, religious groups—and in a number of these, women played a prominent role. Meanwhile, many American women were resisting the notion that the ideal woman was a pious, submissive wife and mother concerned exclusively with home and family. Combined, these factors contributed to a new way of thinking about what it meant to be a woman and a citizen in the United States. It was not until 1848 that the movement for women’s rights began to organize at the national level. In July of that year, reformers Elizabeth Cady Stanton and Lucretia Mott organized the first women’s rights convention at Seneca Falls, New York (where Stanton lived). More than 300 people—mostly women, but also some men—attended, including former African-American slave and activist Frederick Douglass. 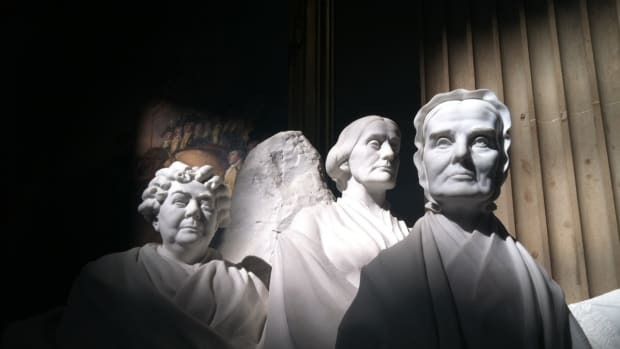 In addition to their belief that women should be afforded better opportunities for education and employment, most of the delegates at the Seneca Falls Convention agreed that American women were autonomous individuals who deserved their own political identities. What this meant, among other things, was that the delegates believed women should have the right to vote. 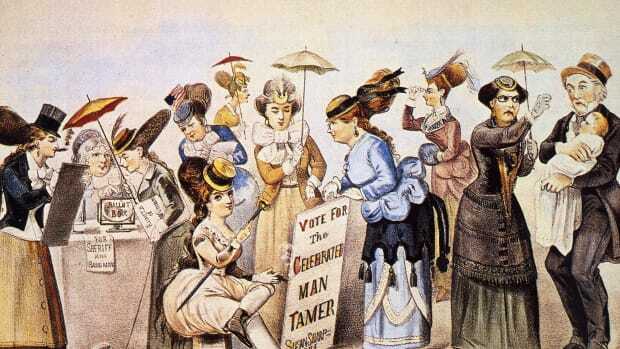 Following the convention, the idea of voting rights for women was mocked in the press and some delegates withdrew their support for the Declaration of Sentiments. Nonetheless, Stanton and Mott persisted—they went on to spearhead additional women’s rights conferences and they were eventually joined in their advocacy work by Susan B. Anthony and other activists. With the onset of the Civil War, the suffrage movement lost some momentum, as many women turned their attention to assisting in efforts related to the conflict between the states. After the war, women’s suffrage endured another setback, when the women’s rights movement found itself divided over the issue of voting rights for black men. Stanton and some other suffrage leaders objected to the proposed 15th Amendment to the U.S. Constitution, which would give black men the right to vote, but failed to extend the same privilege to American women of any skin color. In 1869, Stanton and Anthony formed the National Woman Suffrage Association (NWSA) with their eyes on a federal constitutional amendment that would grant women the right to vote. By 1878, the NWSA and the collective suffrage movement had gathered enough influence to lobby the U.S. Congress for a constitutional amendment. Congress responded by forming committees in the House of Representatives and the Senate to study and debate the issue. However, when the proposal finally reached the Senate floor in 1886, it was defeated. In 1890, the NWSA and the AWSA merged to form the National American Woman Suffrage Association (NAWSA). The new organization’s strategy was to lobby for women’s voting rights on a state-by-state basis. Within six years, Colorado, Utah and Idaho adopted amendments to their state constitutions granting women the right to vote. In 1900, with Stanton and Anthony advancing in age, Carrie Chapman Catt stepped up to lead the NASWA. The turn of the 20th century brought renewed momentum to the women’s suffrage cause. 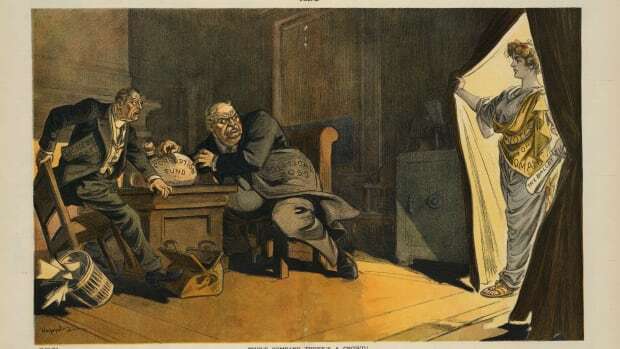 Although the deaths of Stanton in 1902 and Anthony in 1906 appeared to be setbacks, the NASWA under the leadership of Catt achieved rolling successes for women’s enfranchisement at state levels. 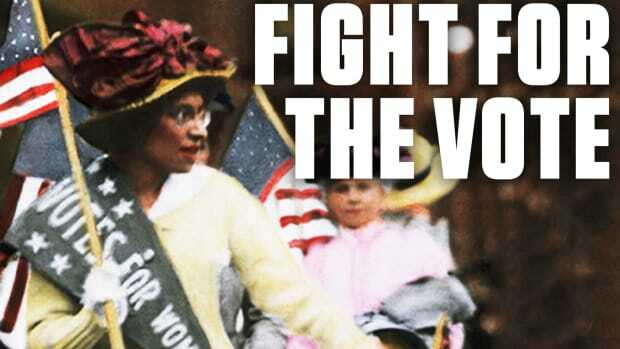 Between 1910 and 1918, the Alaska Territory, Arizona, Arkansas, California, Illinois, Indiana, Kansas, Michigan, Montana, Nebraska, Nevada, New York, North Dakota, Oklahoma, Oregon, South Dakota and Washington extended voting rights to women. Also during this time, through the Equality League of Self-Supporting Women (later, the Women’s Political Union), Stanton’s daughter Harriot Stanton Blatch introduced parades, pickets and marches as means of calling attention to the cause. 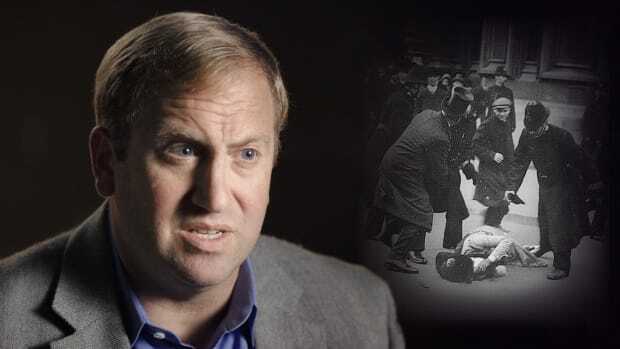 These tactics succeeded in raising awareness and led to unrest in Washington, D.C.
Did you know? Wyoming, the first state to grant voting rights to women, was also the first state to elect a female governor. Nellie Tayloe Ross (1876-1977) was elected governor of the Equality State—Wyoming&apos;s official nickname—in 1924. 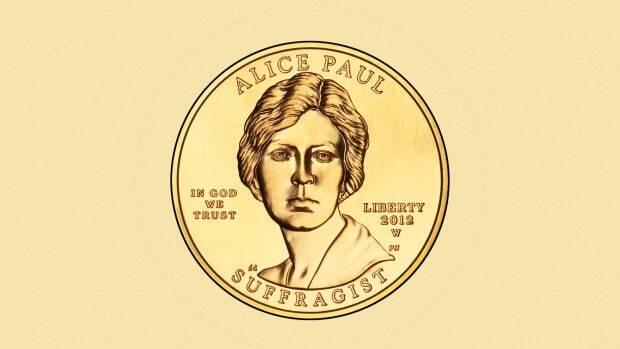 And from 1933 to 1953, she served as the first woman director of the U.S. Mint. On the eve of the inauguration of President Woodrow Wilson in 1913, protesters thronged a massive suffrage parade in the nation’s capital, and hundreds of women were injured. 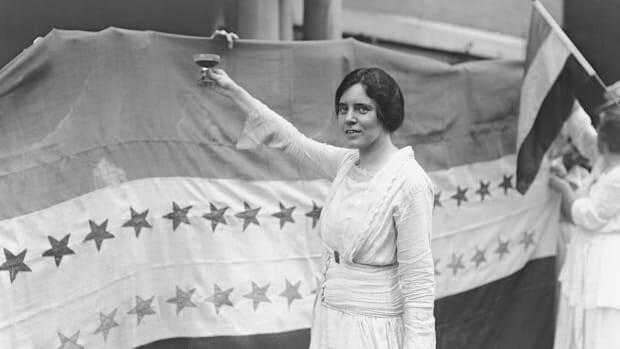 That same year, Alice Paul founded the Congressional Union for Woman Suffrage, which later became the National Woman’s Party. The organization staged numerous demonstrations and regularly picketed the White House, among other militant tactics. As a result of these actions, some group members were arrested and served jail time. In 1918, President Wilson switched his stand on women’s voting rights from objection to support through the influence of Catt, who had a less-combative style than Paul. Wilson also tied the proposed suffrage amendment to America’s involvement in World War I and the increased role women had played in the war efforts. However, despite Wilson’s newfound support, the amendment proposal failed in the Senate by two votes. Another year passed before Congress took up the measure again. 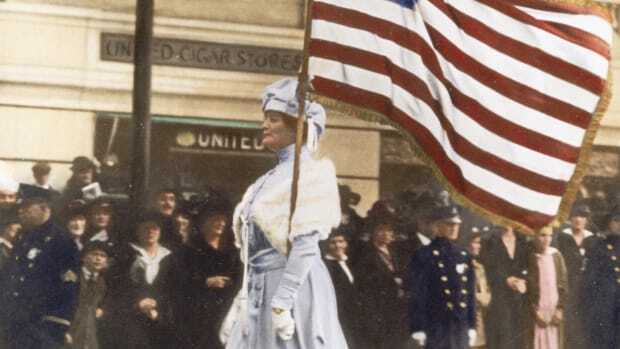 On May 21, 1919, U.S. Representative James R. Mann, a Republican from Illinois and chairman of the Suffrage Committee, proposed the House resolution to approve the Susan Anthony Amendment granting women the right to vote. The measure passed the House 304 to 89—a full 42 votes above the required two-thirds majority. Two weeks later, on June 4, 1919, the U.S. Senate passed the 19th Amendment by two votes over its two-thirds required majority, 56-25. The amendment was then sent to the states for ratification. Within six days of the ratification cycle, Illinois, Michigan and Wisconsin each ratified the amendment. Kansas, New York and Ohio followed on June 16, 1919. By March of the following year, a total of 35 states had approved the amendment, one state shy of the two-thirds required for ratification. Southern states were adamantly opposed to the amendment, however, and seven of them—Alabama, Georgia, Louisiana, Maryland, Mississippi, South Carolina and Virginia—had already rejected it before Tennessee’s vote on August 18, 1920. It was up to Tennessee to tip the scale for woman suffrage. The outlook appeared bleak, given the outcomes in other Southern states and given the position of Tennessee’s state legislators in their 48-48 tie. The state’s decision came down to 23-year-old Representative Harry T. Burn, a Republican from McMinn County, to cast the deciding vote. With Burn’s vote, the 19th Amendment was fully ratified. On August 26, 1920, the 19th Amendment was certified by U.S. Secretary of State Bainbridge Colby, and women finally achieved the long-sought right to vote throughout the United States. On November 2 of that same year, more than 8 million women across the U.S. voted in elections for the first time. 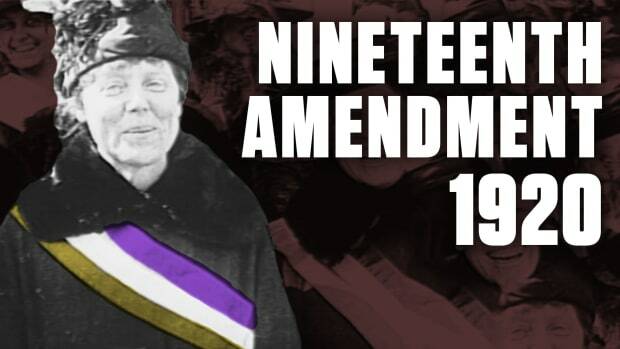 It took over 60 years for the remaining 12 states to ratify the 19th Amendment. Mississippi was the last to do so, on March 22, 1984.